Discussion in 'Console & PC Gaming' started by GTPNewsWire, May 16, 2017. 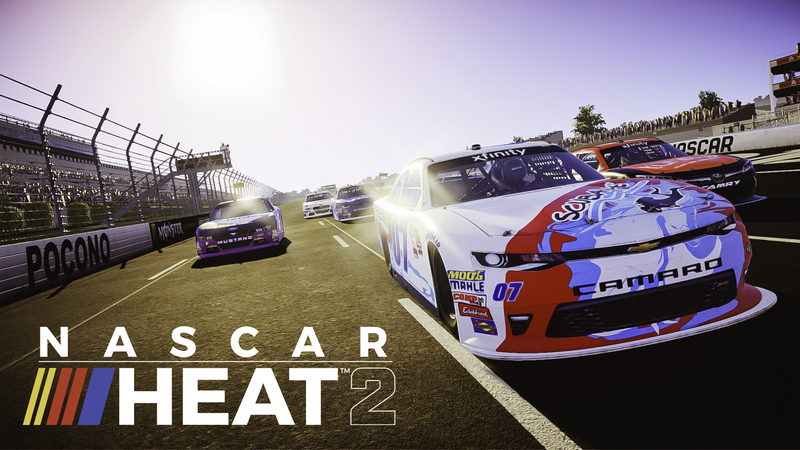 704Games promises new features and improvements to the NASCAR Heat Evolution successor. This article was published by Ameer Zaita (@Ameer67) on May 16th, 2017 in the Gaming category. weedybroz, MOPARbarrett5, ToyGTone and 1 other person like this. Finally. The first one did not impress me. The races were to hard, and you cannot look back!! That is a huge No no for me. I have to be able to. I check behind almost as much as I'm actually looking ahead! Looks like split screen is confirmed. You can see it in the new menu screen they got. Kyle Busch will be the cover driver, I'm sure this will result in nothing but positive comments across the usual cesspools. 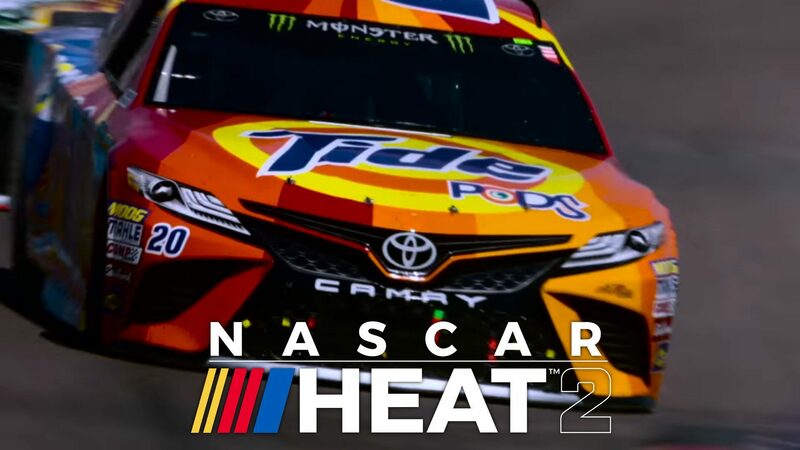 Ed Martin Sounds Pretty Confident about NASCAR Heat 2. I'm ready to get some info. That's one of the reasons why I don't play offline on NASCAR Heat Evolution. If it didn't have that I might've played the career mode. For now when I do play NHE I just join a private lobby with friends. NASCAR Heat 2? Wait a minute, I thought NASCAR Heat: Dirt to Daytona was NASCAR Heat 2, and NASCAR Heat Evolution as NASCAR Heat 3. I am so confused! Welcome to the world of "If it's seven years or older, it doesn't exist" marketing. Mr Tree, ukfan758, bloodyboyblue and 3 others like this. I was in stitches when I found that out because of all that nonsense (Also dumbfounded because OMG I picked someone that did well ) Best part is ironically, he also won the All-Star Race as well. Let the Salt mines flow. They said they go be at E3 which is shocking. So no doubt we should be getting some info next week. Like I said before I'm not hyped but just curious about where they gonna go with this game. 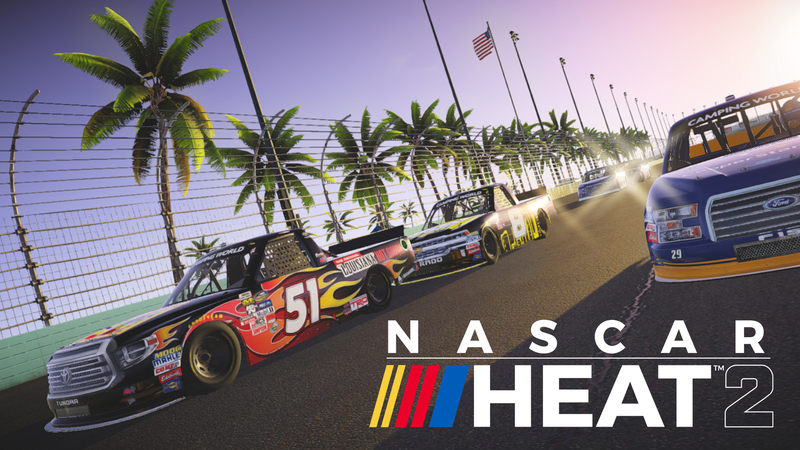 All I gotta say is that if this is another medicore NASCAR game then I pretty much lost faith in this company and hope to see either EA return or see codemasters take a shot at making a NASCAR game. But that's if though. If they don't get this right or at least much better then the last, I'm not exactly sure ANYONE will to even do it or even will do it right. My confidence in EA to do anything well just isn't there. I hate that they all went there separate ways. And I don't see what's bad about the new need for speed game (so far) but that's another discussion for another time. Anyway I don't see this game being realistic at all (like the last one) but I think it will be a lot of features and stuff. The reason I said it won't be realistic is because of the current engine their using to develop the game on which is unity. I don't see the physics improving that much. Until they develop the game on a better engine I won't expect a realistic game. I'm not even asking for a super sim game. I just want a NASCAR game that isn't a wonky or awful inconsistent mess that's underwhelming and severly limiting, which sadly have been the last 6 six games regardless of developer. RazorSharkz, bloodyboyblue, TX Executioner and 1 other person like this. Codemasters should make the Nascar games, this last game was a complete joke and should have only sold new for $20-30. I don't expect much of an improvement. RazorSharkz and bloodyboyblue like this. Camping World Truck and Xfinity Series both confirmed along with Elodra and Mid-Ohio. Casey, ukfan758 and Elitekilla29 like this. Well damn, that's a pleasant surprise. Props to 704games for listening to the feedback we gave them. As long as the game functions well this could no doubt be the best NASCAR I have played since NASCAR 06. All of this is very unexpected. I really thought the trucks and Xfinity series were not gonna be in the game but I was clearly wrong. Well, the solid premise is there, now to see if they know how to put the rest of it together. Northstar and ukfan758 like this. nice to see all 3 series finally in a nascar game again. RazorSharkz, TX Executioner, tbwhhs and 2 others like this. When is the last time there has been a NASCAR game with real modeled trucks? I remember NASCAR 09 had trucks but they were all generic. Ummm...I think you have to go back to Dirt to Daytona to get close, even then they aren't decaled. Beyond that it'd be NR2003 and iRacing mods.